Sometimes from bad luck or circumstance amazing opportunities and transformations can arrise. This is much the case for Maurice. From major label signings and lofty expectations to tamult and shattered dreams out of mishandled potential and naivety, Jean-Paul Maurice was able to pick up the pieces of a misdirected career path and a dysfunctional record deal and take his music and art into his own hands. Jean-Paul Maurice grew up as a Much Music kid in Victoria BC, Canada. Highly influenced by visions of rock stars and melodic love songs. A turkey baster was his first pretend microphone. Family photographs show him holding a plastic guitar while wearing a pink bandana and his sister's heart shaped sunglasses, professing at the age of 2 he wanted to be a rock star when he grew up. 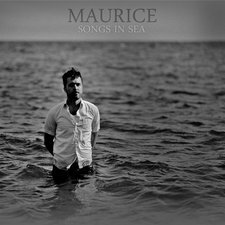 This fall, Maurice will release His second full length album, Songs In Sea. It showcases the monumental transformation of a sound. The album reflects and surmises the metaphoric irony which stands as a symbol for these recordings. The fluidity of the ocean and how it is always changing - the fluidity of music and how it is always evolving. The different emotions and stirring of life that emanates from the sea. This album was born from very different circumstances then its predecessor. It is entirely independently made and self produced, having been recorded in a cabin, a bedroom and a basement. A huge step away from big high end studios of Hollywood, California were Maurice cut its teeth with its debut release Young People with Faces, Produced by Matt Hyde, and David Foster, released in the spring of 2010 on Warner Brothers records.